Have you ever been told that your risk reporting is static, backward-looking or too subjective? Are your risks, KRIs, compliance activities, audit findings, actions and incidents disconnected? 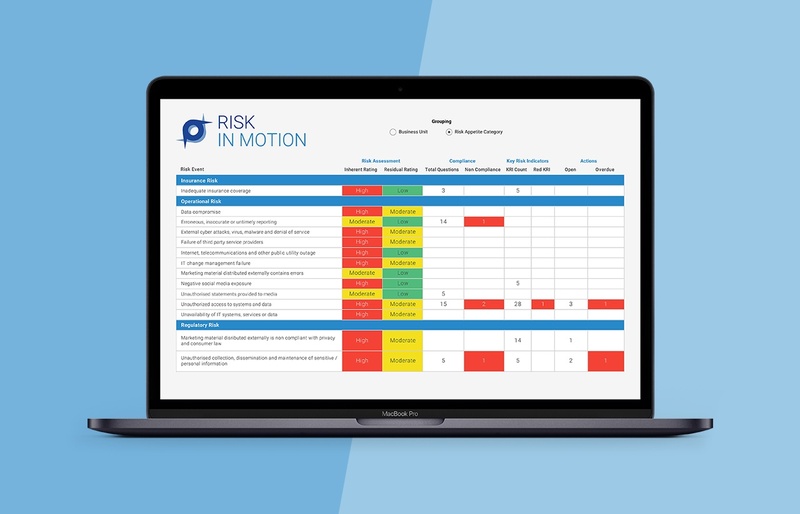 What RiskInMotion™ is - a more fluid picture of risk through aggregation of connected indicators, attestations, incidents and internal audit findings. How key risks and controls across your business can be centrally captured, and connected to these other risk framework components. How RiskInMotion moves you from a static to a dynamic view of risk. How RiskInMotion puts the "Integrated" into Integrated Risk Management. Watch this 30-minute video demonstration of the Protecht.ERM system and dive into some of the features that this software offers to help you deal with your Risk Management and Compliance needs in a more efficient way.